Develop tools to improve spinal strength. This class is designed to educate the student on the anatomy and function of the spine while developing an awareness of their own particular alignment issues. on techniques to gain spine strength. This course uses the fundamentals of yoga, pilates, neuromuscular reeducation, and centers around the work of physical therapists Sarah Meeks, Trudy S. Goldstein, and others. You will learn about your own spinal alignment issues and explore techniques to regain control over your posture, pain, and endurance. This class is appropriate for all ages. 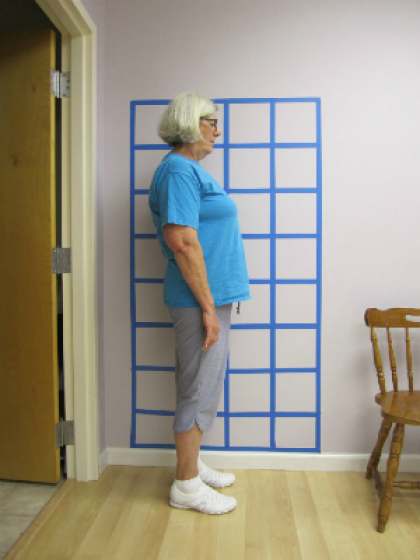 We will be doing floor work, kneeling, standing, walking, and balance exercises. We will use props to accommodate your particular spinal issues. You must be able to get down onto the floor. Chairs will be available for assistance. We will also learn fall assessment and recovery techniques. Come in comfortable clothes and supportive shoes (no slippers or dress shoes please). When I first started, I slumped over, and didn’t stand up straight, but after 5 sessions, I’ve grown 1.5 inches and my bone density test came back with “no change” and that’s good! I’m not going to lie, some of the exercises are really tough, but Linda works with you, she has had the same problems as we do, so she understands how to help us. I want to encourage everyone that has problems, to take this class. Glad to help, Linda. 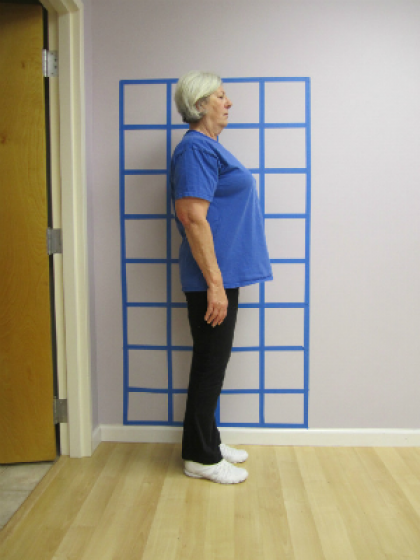 The class helped me see the benefits of spinal exercise to posture—very much improved! I think about where and how I’m putting myself in a chair now. I hope to join you in another class since it does help to have a group to spur you on. I did notice a difference in posture and also the pelvic tip exercise helped with back pain especially if I'm standing for any extended period. Looking forward to the next class.